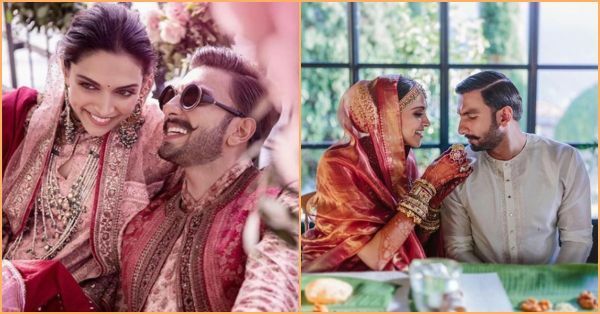 DeepVeer's Official Wedding Pictures Are HERE & It Looks Like A Dreamy Fairytale! Deepika and Ranveer are the talk of the (B-)town right now and for good reason. From reel life to real life, this pair has shown us what a filmy romance looks like. For the past week, we've been waiting to see a glimpse of their Lake Como ceremonies and today, the couple finally obliged! DeepVeer have finally shared their official wedding pictures on Instagram and it looks like a dreamy fairytale. Ranveer is wearing an anarkali with an ethnic jacket. They look bright and happy twinning in shades of pink and red?! All smiles for Ranveer Singh as he gets to call his lady love, DP his wifey for life-y! The dancing bride looks like an ethereal princess with mehendi covered hands, a double dupatta and heavy jewellery. Drop-dead-gorgeous! 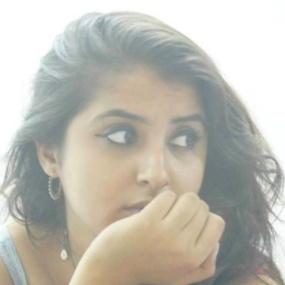 Mehendi hai rachne wali. Also, remember what we always say about happy brides being the prettiest?! And one of the happy couple with the whole girl gang! Doesn't Lake Como make for a stunning backdrop? There was laughter, there was dancing and most importantly, there was a whole lot of love. Ram Leela ka pyaar is a forever kinda thing! They also shared pictures from the Konkani celebrations and look at this bride feeding her groom. Cuteness! DP wore traditional temple jewellery for this function and finished the desi bridal look with a gajra. The couple even shared pictures from their Anand Karaj or Sindhi wedding ceremony. We cannot get over their cheesy smiles. Here comes the bride.... My God, she's put her look in Padmaavat to shame. The royal couple paints Italy red Sabya and we're saying yes a hundred times. It's all about the love for DeepVeer! A big shout out to Errikos Andreou for these beautiful pictures! The pictures are making us believe in love all over again. Seeing the smiles, happiness and love they exude - we're really feeling the mush.